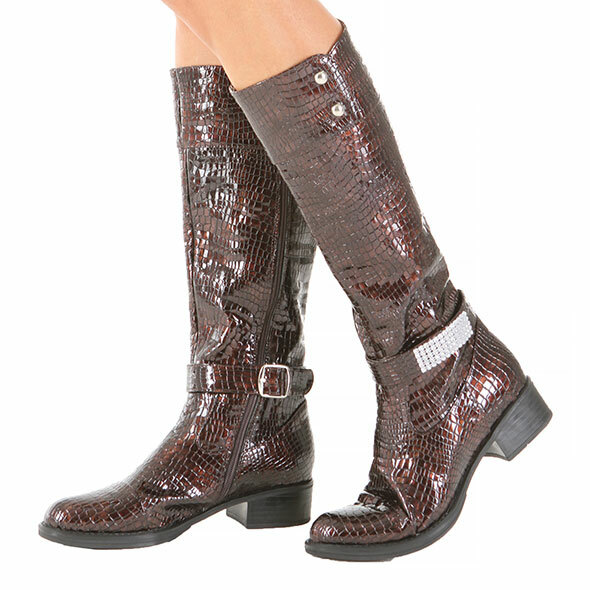 These beautiful and comfortable brown crocodile leather boots are lined with a velvet like fabric inside. These beautiful and comfortable brown crocodile leather boots are lined with a velvet like fabric inside. The belt is Optional and can be worn on or off. There is an elastic at the top which provides some give when worn with denims or leggings.